I was so impressed when I saw the lovely knitting being created by the talented inhabitants of the Onion Dome. 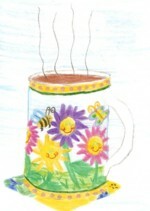 It is so wonderful to see the work of children's hands as they express their creativity. I don't know how to knit, so my children have not been able to pick up this particular skill very easily. However, Josiah has been working on an entirely different sort of knitting over here. 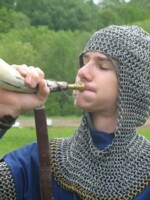 He just finished his maille mitons! 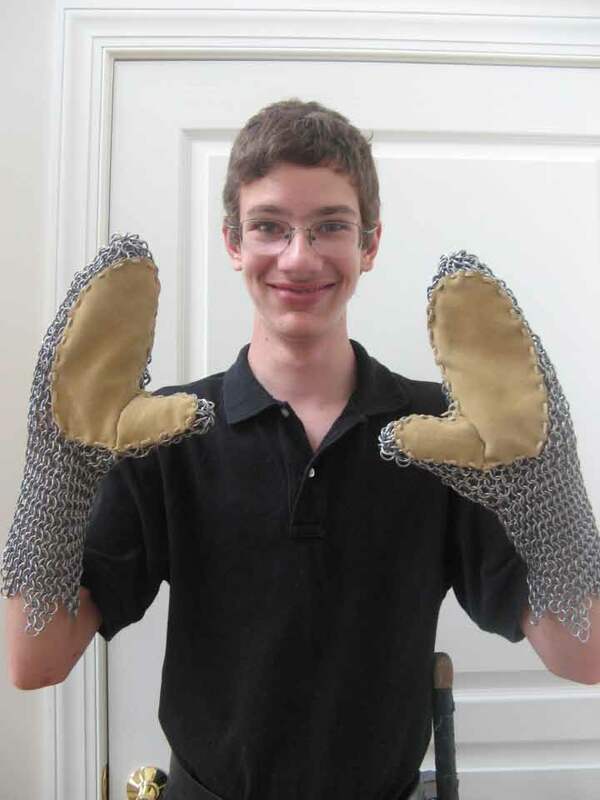 These are very impressive as he developed the pattern himself, based on what he learned while making the rest of his maille. 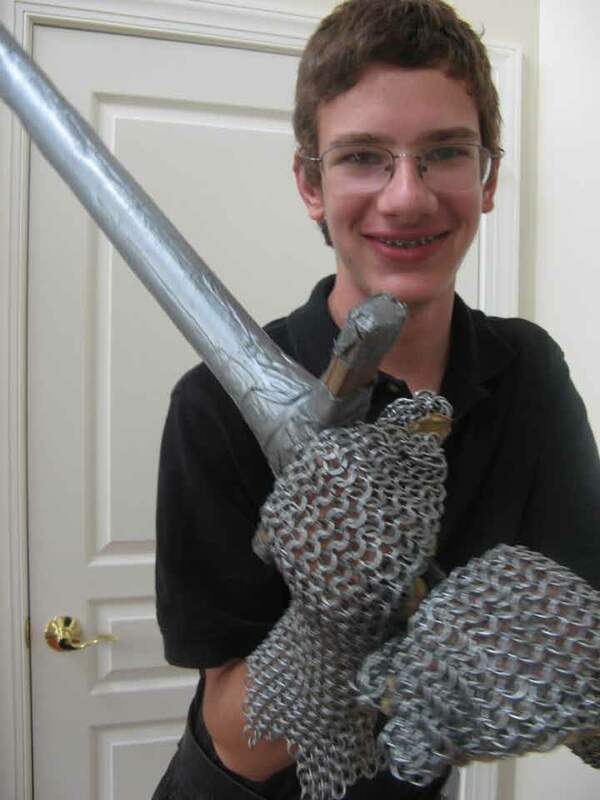 He sewed on leather palms so he can still wield his sword with care.